Our Denver office is located in the heart of the downtown district. 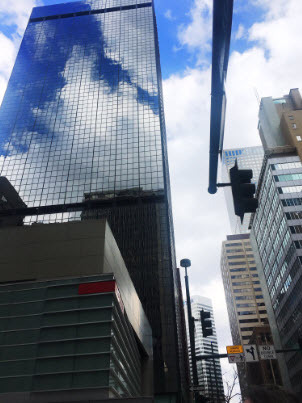 The Planisware Mountain West Sales & Operations team moved to a larger office in downtown Denver on Monday to accommodate the corporation’s rapid growth. Planisware as a global organization experienced 20% year-over-year growth in 2018, and the company’s revenue has doubled in the past 5 years. Last year, the acquisition of software publisher NQI and the Orchestra PPM solution doubled Planisware’s client base. Organic growth, largely from SaaS business, resulted in 75 additional new customers in 2018. To support this growth, Planisware is bolstering its sales, marketing, and consulting workforce across all North American offices, and particularly in Denver, which was recently ranked the 4th best city in the US for business and careers by Forbes. Since opening in 2016, Planisware’s Denver location has attracted talent from across the country; the relocation follows a fivefold increase in the Denver workforce over the past 3 years. The new, more spacious office features views of the city and mountains. The Denver team is looking forward to a busy and exciting 2019 in their new location, and expects to add at least 5 new employees by the end of the year. Planisware’s San Francisco, Philadelphia, and Montréal offices are also hiring. Interested in joining Planisware? Visit careers.planisware.com to apply!